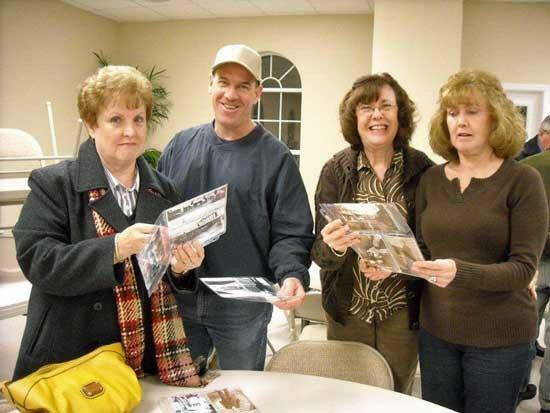 Auburntown Historical Society (AHS) met February 18 for their monthly meeting. Guest speaker was Thomas G. Webb of DeKalb County, author & historical researcher for over 60 years. AHS members looking over archival photos after the presentation are left to right: Drue Nell Higgins, Richard Jones, Ruth Jean Melton and Joyce Fuller. AHS March meeting is on the 18th @ the Fellowship Hall of Auburntown Church of Christ.